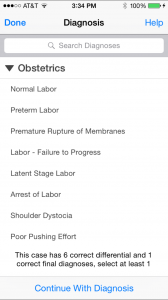 Unlike most of the other medical specialties, Obstetrics and Gynecology has a lack of mobile tools available for their specialty. Whether this is because there is a lack of demand for them or the specialty has not embraced mobile fully is not relevant for this article. 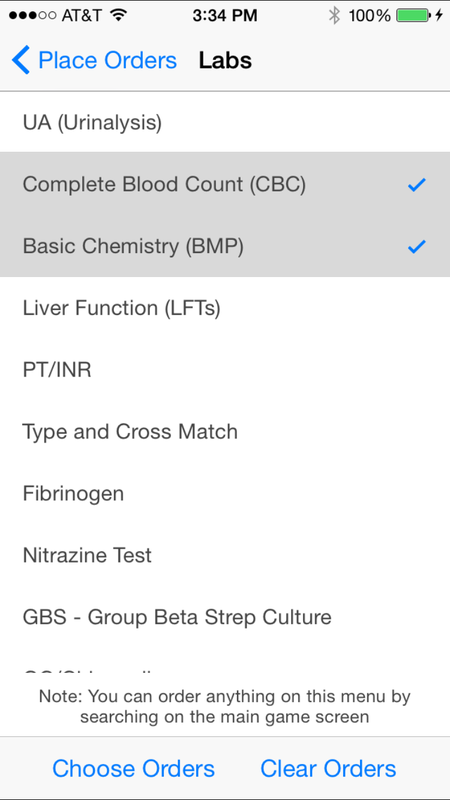 But there are key mobile tools that have been developed for OB/GYN that are essential for medical students to have and will make your rotation significantly more useful. 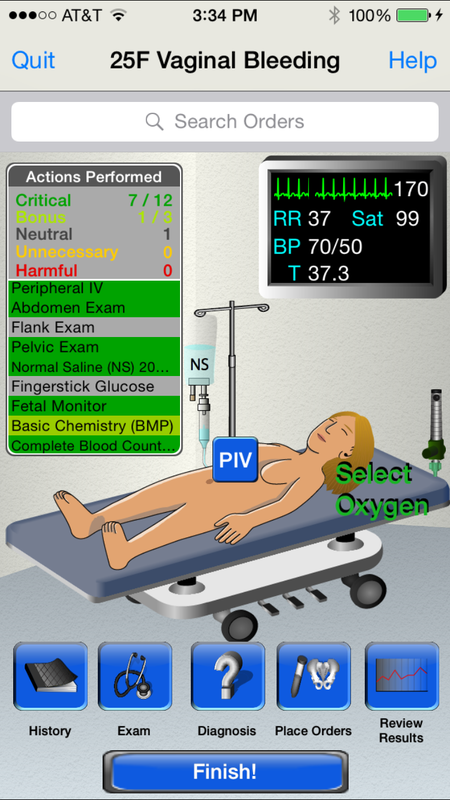 Resuscitation is the best mobile simulation app currently available for iPhone and iPad. 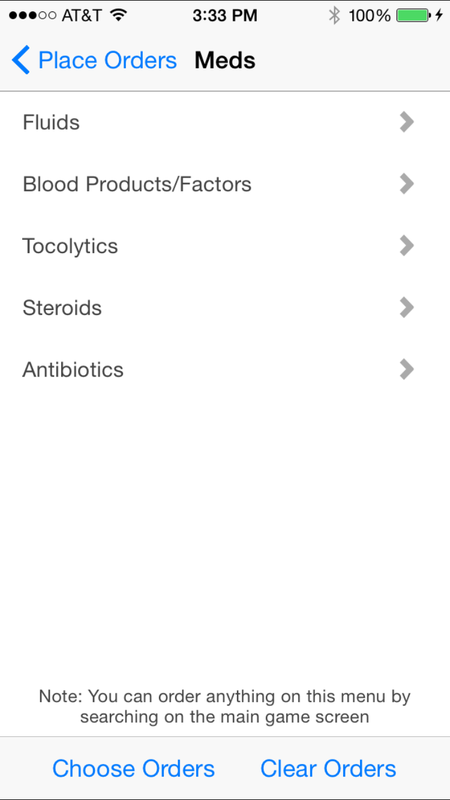 The app is free to download and you can purchase various modules based on specialty. 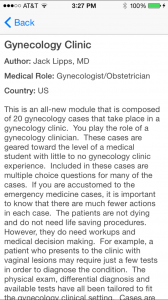 They have two great modules you can purchase for OB/GYN. 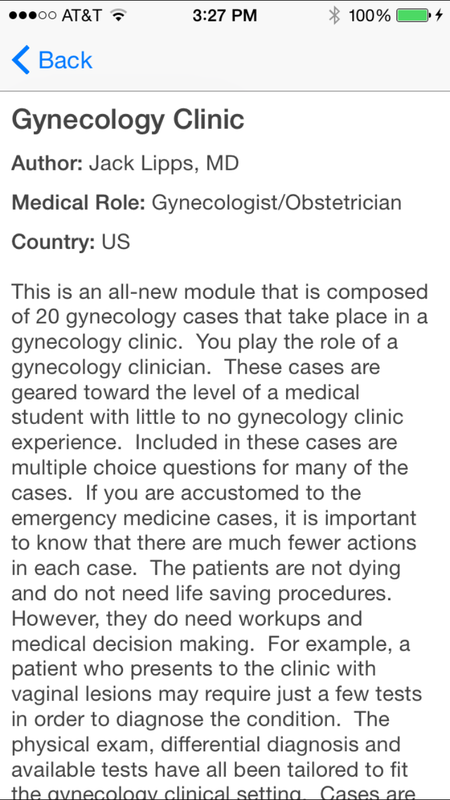 They have a L&D module that has 10 cases for $3.99, and a Gynecology Clinic module that has 20 cases for $3.99. 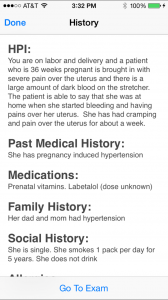 You are presented with detailed patient cases, and you have essential pretend to be the patients doctor. 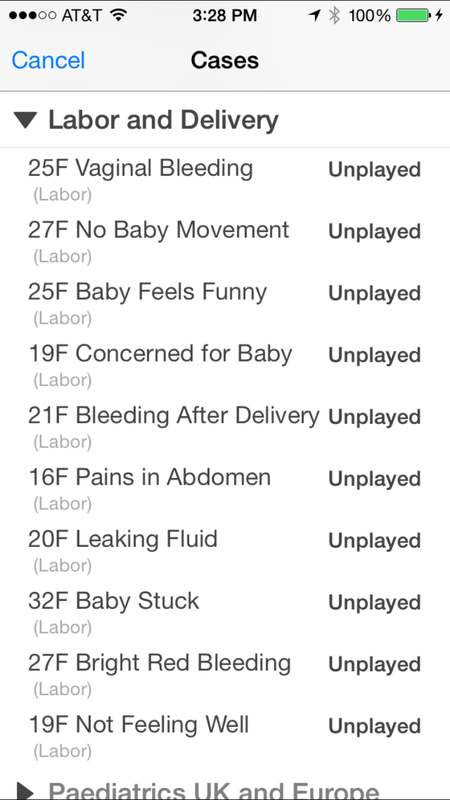 From hooking the patient up to telemetry to telling the nurses what type of fluids and IV to start. 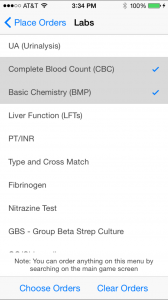 You are given real time vitals on the patient, and have to work through a differential, order labs, and do procedures. 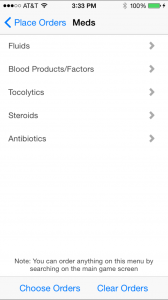 After finishing the cases, you are presented with multiple choice questions and given detailed feedback on how you could have improved — specifically, you are told what critical actions you did right and wrong. 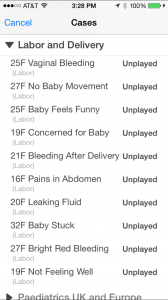 I encourage students to do every case during your OB/GYN rotation as it will help you gain a significantly better understanding of the nuances of Labor and Delivery and the clinic experience. 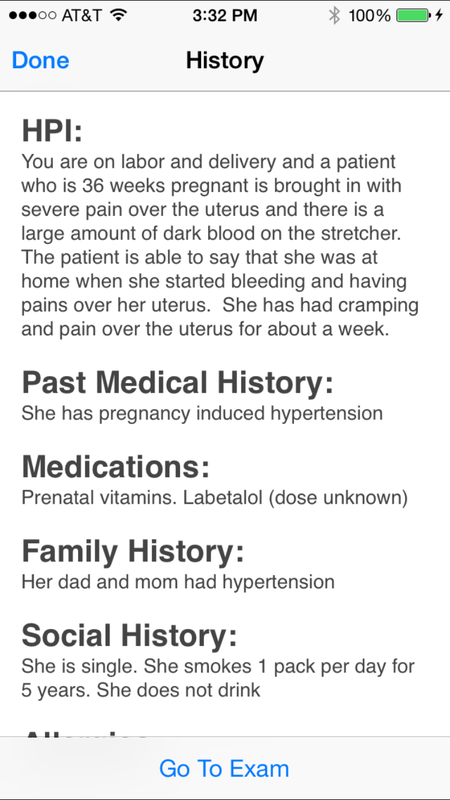 As opposed to just reading about how to manage conditions such as placental abruption, this app enables you to manage the condition in real time, with a patient who has fluctuating vital signs and changing clinical picture, giving you a real life feel. 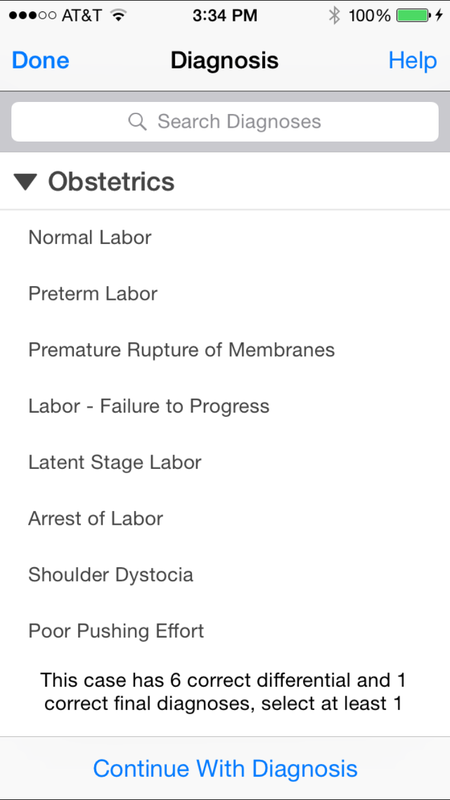 Price: $3.99 for each of the OB/GYN centric cases (in-app purchases).